Last year I posted a roundup of the best Photoshop alternatives aimed at casual designers or hobbyists who wants to fulfill their creative passion, but don’t want to spend hundreds of dollars on expensive industry standard software. I’m a big Illustrator fan myself and I post loads of Illustrator tutorials here on my blog, but it’s great to hear that a number of my fans actually transfer the design process over to cheaper vector editing programs. In today’s post I showcase 7 competitors to Illustrator that either include similar features or are capable of creating equally stunning artwork. 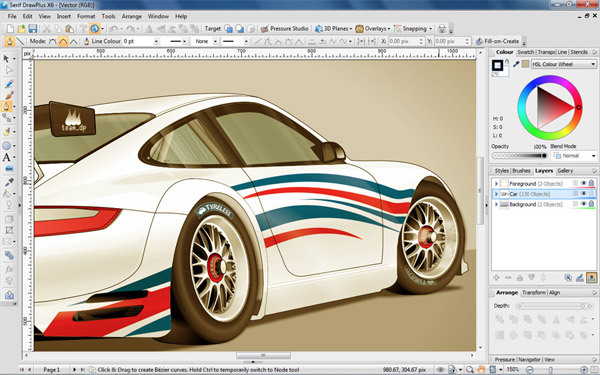 DrawPlus X6 is a comprehensive drawing application that directly competes with Illustrator and Corel Draw. Out of all the Illustrator competitors DrawPlus is the most professional option out there with it having built in support for CMYK print document design as well as drawing & painting features. Having the ability to import AI, EPS and PDF files means it’s perfectly usable on a professional level, making it perfect for designers on a budget. If you’re a Mac user you’re in luck because Sketch is one of the most highly recommended vector graphics app out there. Its interface is much simpler than Illustrator with it having a typical Mac theme, but there will no problems trying to find tools buried deep within menu systems as in Illustrator. 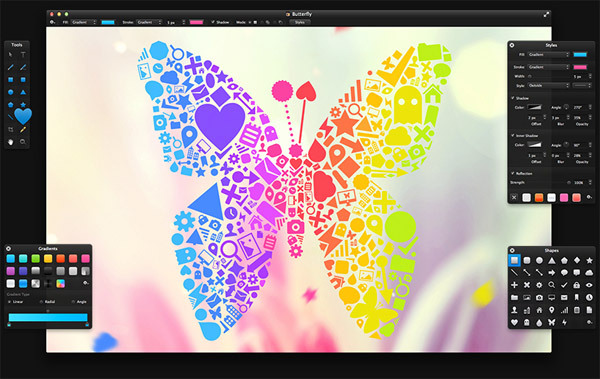 Sketch is primarily more of a vector graphics creation tool rather than it having support for drawing, inking or print design but it out performs Illustrator when used to create web graphics thanks to the easy Photoshop style effects options. 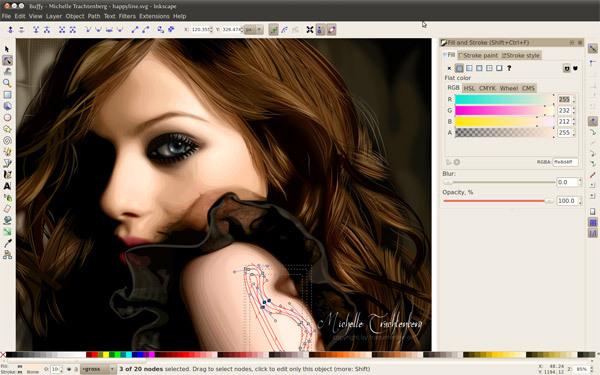 Inkscape is a free open source vector graphics editor that makes use of SVG graphics. 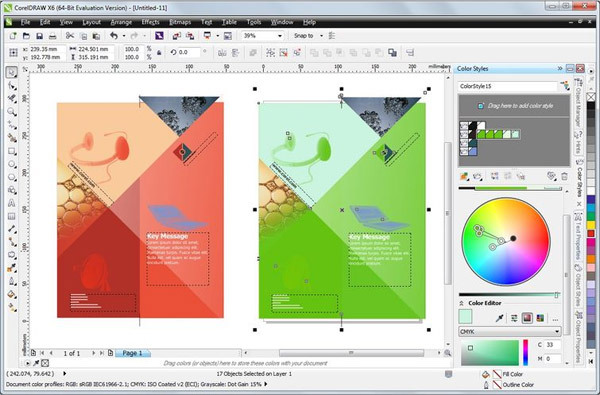 Its interface might just look like a glorified Microsoft Word, but Inkscape is capable of pretty much all the important tasks we ask of Illustrator. Inkscape can be used to create amazing illustrations, characters, logos, icons and even print files, but best of all it’s free! As the name suggests Pixelmator by default is a raster editing application with functionality very similar to Photoshop, but it was recently given additional vector editing capabilities with the complete Vectormator toolset. 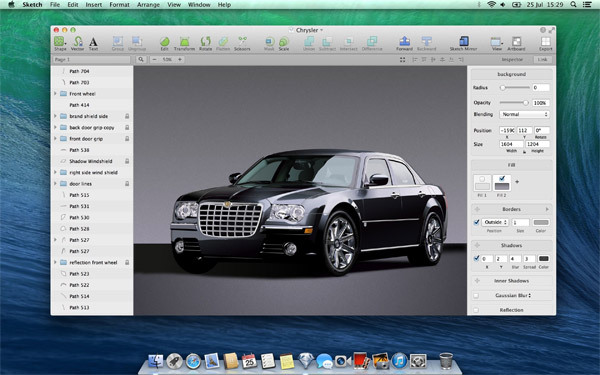 With the click of a button Pixelmator can be transformed into a completely new drawing app. Again, this app is suited to creating designs with vector shapes, but it lacks the more professional functionality of Illustrator. 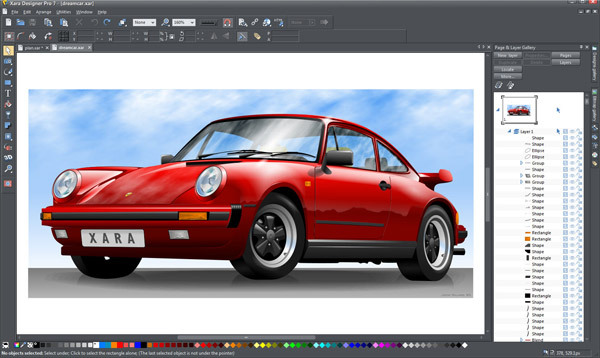 CorelDraw is a veteran drawing application with over 25 years of development under its belt, but despite being the largest competitor to Illustrator, I personally wouldn’t recommend it considering the $399 price tag. With the exception of a few signwriters and backstreet print shops Adobe Illustrator is now the industry standard, so it seems a little daft to go spending so much on software that has had its day. We’ve looked at applications that compete with Illustrator’s vector shape and print tools, but what if you’re primarily an artist who illustrates by hand, particularly with a Wacom tablet? Illustrator’s Brush and Blob tools are pretty basic when compared to other software that are built specifically for illustrators. Manga Studio in one such app that is far superior to Illustrator in terms of digital inking and colouring. 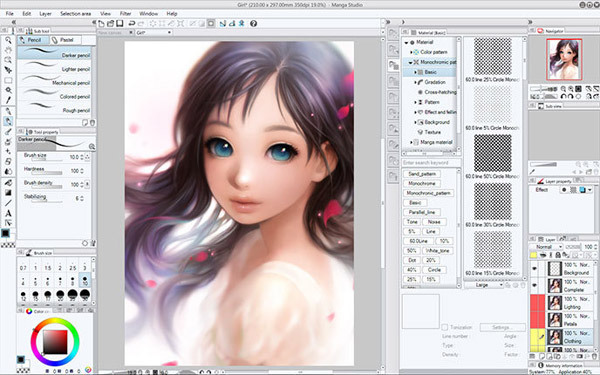 It can’t be used as a typical vector graphics editor, but it has a range of brush options that allow you to create much higher quality artwork than in Illustrator or Photoshop. Xara’s Photo & Graphic Designer software is a mix of the popular features of Photoshop and Illustrator, making it an affordable alternative to these two apps for the casual designer. Creating vector drawings is no problem thanks to the range of shape builder tools, but for anything more advanced you’ll need to upgrade to the full Designer Pro X9 pack at a considerably more expensive $299, but this does include all the features of Web Designer 9 Premium, Photo & Graphic Designer 9 and Page & Layout Designer 9 in a fully integrated single package solution. I use both Inkscape and Illustrator. I prefer the pen tool in Inkscape more than Illustrator for ease of use. I don’t care much now of Adobe’s Creative Cloud. Same, Anne. I started using Inkscape BECAUSE Adobe was forcing people into the CC. There are still some things I like better in Illustrator, but for most things I can use Inkscape comfortably. Nice article, Chris. Good to see someone that’s respected in the field showing that there are legitimate alternatives to Adobe products. I have been using InkScape for a little while now, using it as a replacement in some of your illustrator tutorials. The ui is a little confusing sometimes, but it does seem to get the job done! Anything out there that compares to Freehand MX and runs on the new MAC OS? My all time favorite vector program – still choose it over Illustrator any day. Illustrator & Photoshop 2 are completely FREE from Adobe nowadays. No. You’re only allowed to freely download and use the license if you’re a customer. This is an amazing list of adobe alternatives!Thanks for such a useful recommendations Chris!! I use Illustrator for most of my work, but I also own Xara Designer Pro X9. I find that it does a few things better and easier than Illustrator so I find it a valuable tool for illustration. The way it handles 3D is much more intuitive than illustraor. I only quibble is that it doesn’t do EPS. I’ve Used CorelDraw in the past and hope it remains that way. It doesn’t handle EPS’ well as output or input. I think its day is past. I was used only Inkscape, but after read Your article I have to download and install some trials. Thansk. Corel had a deal going for current Adobe Creative Suite users, where you could buy CorelDraw at the upgrade pricing – I’m pretty sure it’s still running. I’ve used Xara in the past, and liked its speed, but I worry that it’s starting to suffer the same problems that afflicted CorelDraw in the past. Some good choices there. Ai is expensive to say the least! I’ve just got an iPad App that is similar to AI called iDraw and only £6! Everyone knows I’m a huge Inkcsape fan; I almost can’t believe it’s five years since I first started using it and nearly a year since starting the tutorial blog! I’ve test-driven a few versions of DrawPlus but used to find it challenging to get anything complicated out of. X6 looks like a big step forward in terms of usability, and Serif’s price tags are always so reasonable given all the features they pack in. Thank you for sharing, I forwarded this to a friend who wanted some software, but didn’t want to pay the Adobe price since she doesn’t design for a living. Great apps here. These are always good to refer to clients as well that want to dabble a bit. Thanks!